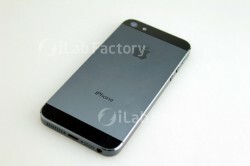 Although the next version of the iPhone is not expected to come out for a few months, there are people who will give us a glimpse of what the next generation of Apple’s iPhone could possibly look like. 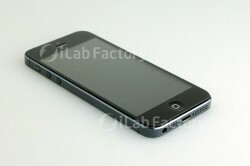 Recently, the Japanese repair shop, iLab Factory has obtained the parts of the supposed next generation iPhone and built a mock version of an iPhone 5. The build closely resembles the multiple mock-ups and concept based on several rumors that several designers have created. I obtained some parts such as cable or flex back plate seems to be. 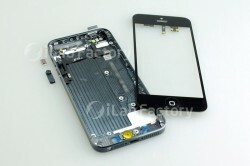 Photograph of the exterior of the housing so can be found at each site, Eye Lab factory tried to verify the internal point of view has been working on this for many years to repair the iPhone. 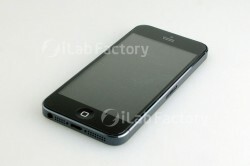 Based on the rumors, the next iPhone has a taller and larger screen (4″ diagonally) and keeps the glass front. 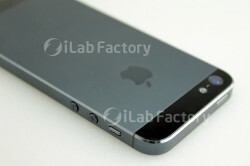 The dock connector is smaller which is based on reports that the new iPhone will have a 19-pin dock connector, as opposed to the current 30-pin dock connector, the headphone jack moved to the bottom of the device, and is expected to have a new set of speaker grooves. Also, the new iPhone is expected to ditch the glass backing for a metal backing, but still it looks like it will still have a small piece of glass on the top and bottom of the back of the new iPhone. Analysts say that the next iPhone will arrive in fall of this year, and this mock-up give us a general idea of what the device will look like.